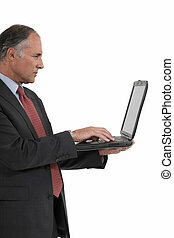 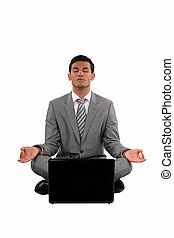 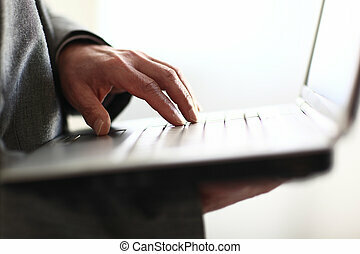 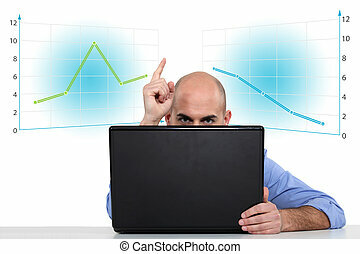 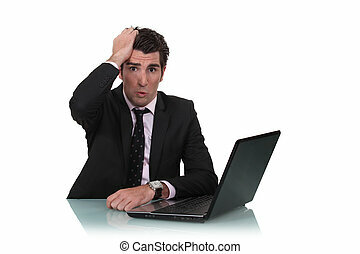 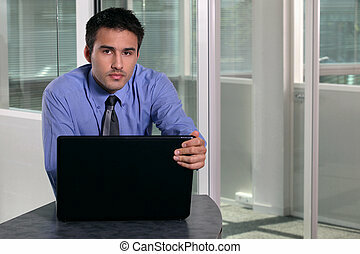 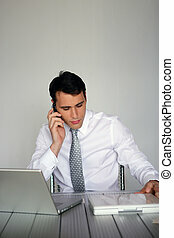 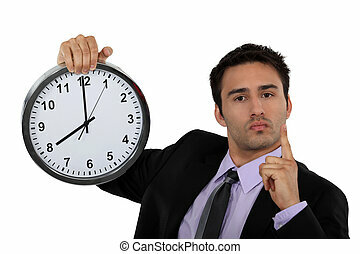 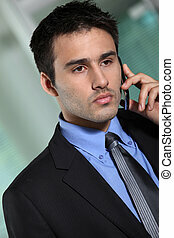 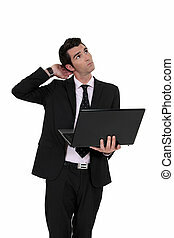 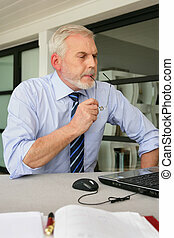 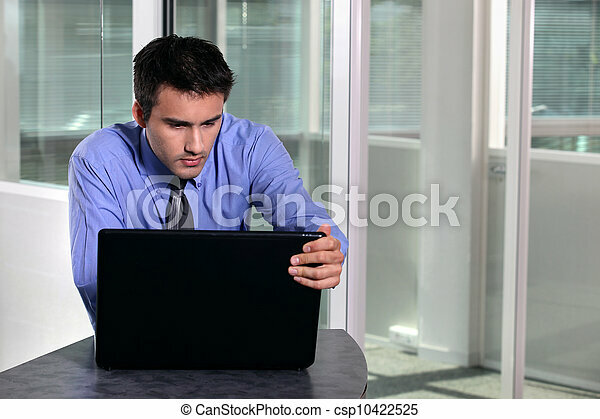 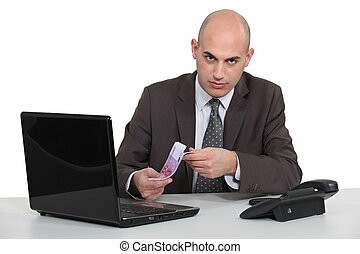 A pensive businessman with a laptop. 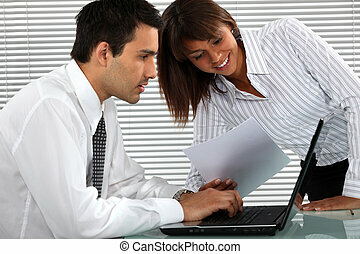 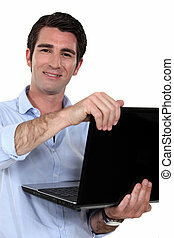 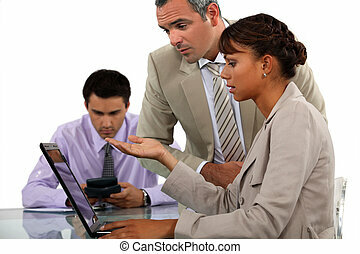 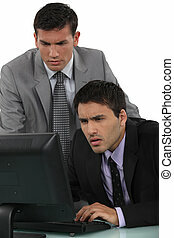 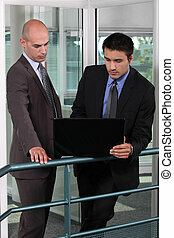 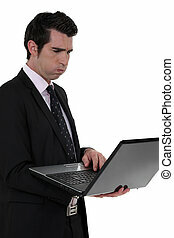 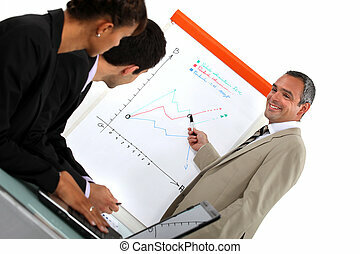 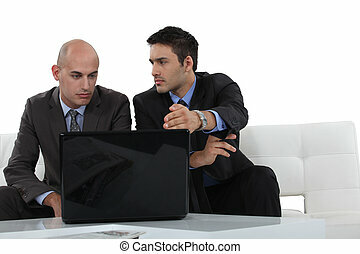 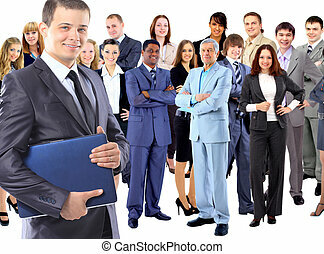 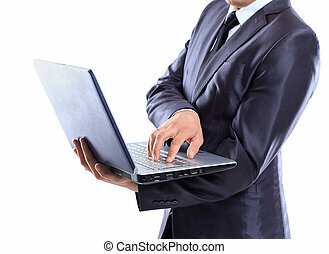 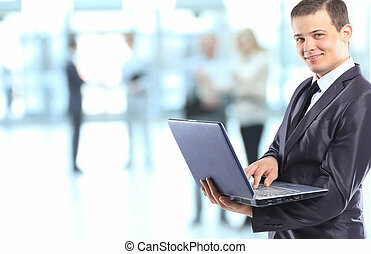 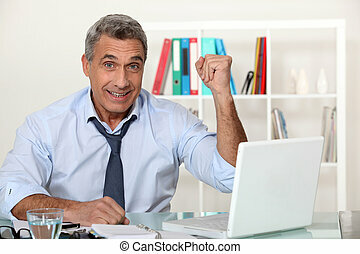 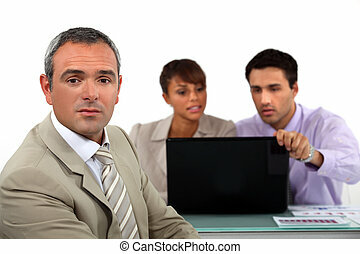 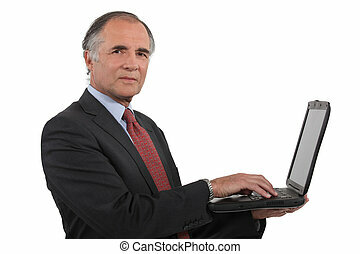 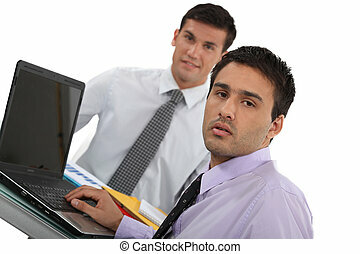 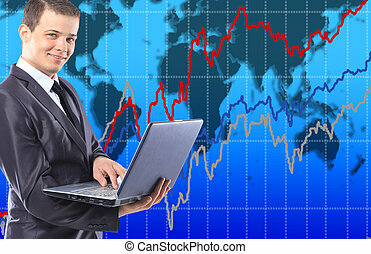 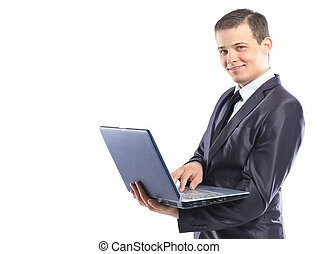 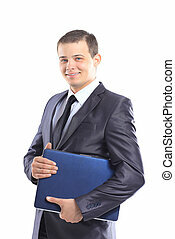 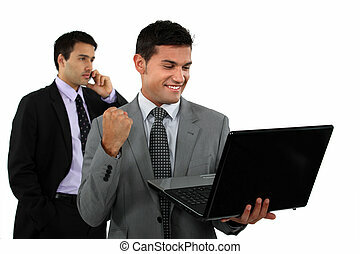 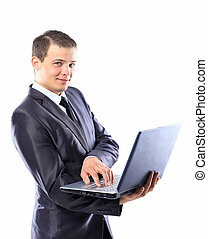 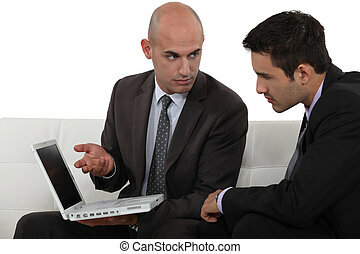 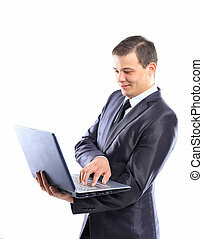 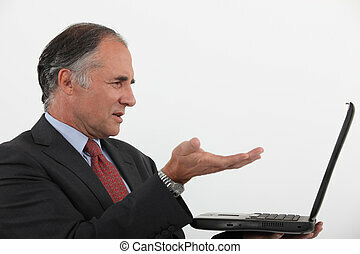 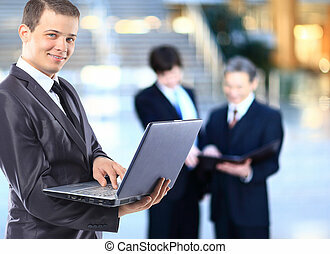 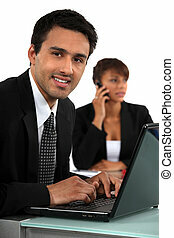 An unhappy businessman with a laptop. 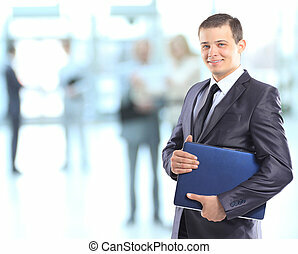 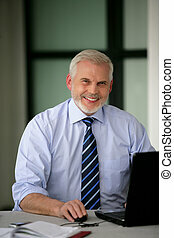 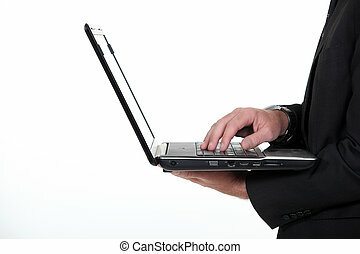 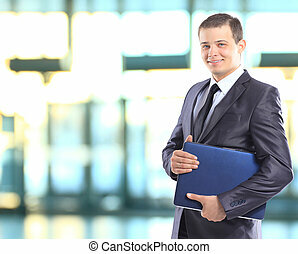 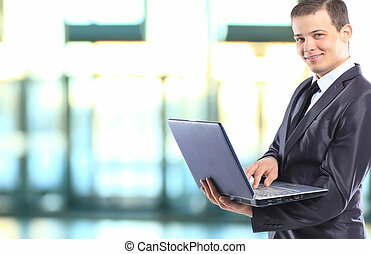 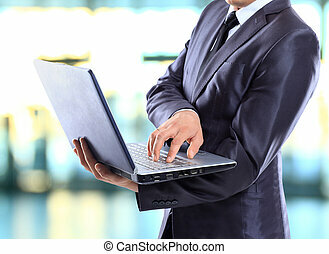 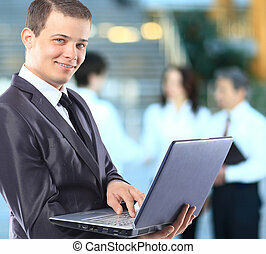 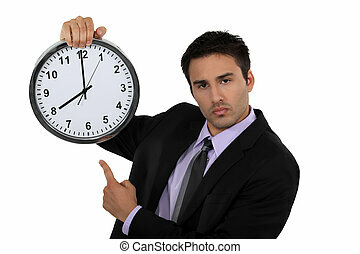 A mature businessman with a laptop.